Are you having a British themed party or a special event coming up and are looking for colourful and patriotic decorations? Well, you have come to the right place! Our Union Jack bunting is popular for all kinds of events since it makes a fun and eye-catching decoration at any party. The Union Jack or the Union flag is a famous design that is recognised around the world and has also inspired many other national flags across the globe. 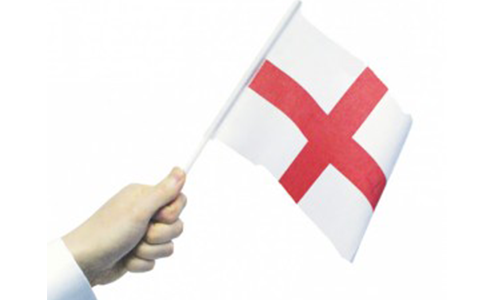 It features the flag of England, with the St George’s Cross, the flag of Scotland known as the St Andrew’s Cross and the red saltire of St Patrick to represent Northern Ireland. Together, the red, white and blue colours stand out and create a magnificent design! At The Flag Shop, we have a range of fantastic British bunting that you can enjoy at your next party or event. So, check out our collection to find your favourite and make sure that your next big occasion is British and colourful for guests to have fun! If you like the look of traditional bunting, then you will love the Union Jack Triangular 66ft Bunting! This decoration is ready to hang indoors or outdoors, along walls or around fences and ready for your big event. It boasts 50 British flags in triangular shapes, which stretches for an amazing 66 feet or 20 metres in length. Each flag measures around 20cm x 19cm, which means that everyone will see the colours of the Union flag. 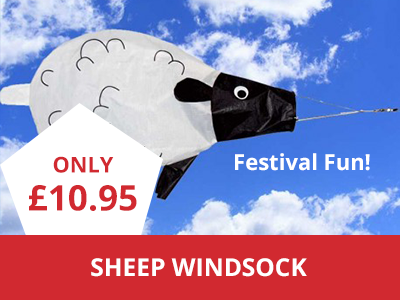 The bunting is made from a strong and quality polyester, which provides you with a durable decoration that you can use all year round. Another popular choice of bunting for special events and British holiday parties is the Union Jack Great Britain Bunting. 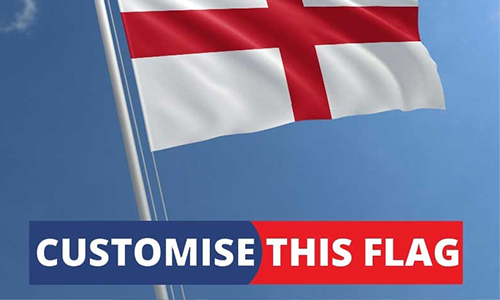 You can choose from three metres or six metres lengths to suit your surroundings, which will feature either 10 Union flags or 30 Union flags. 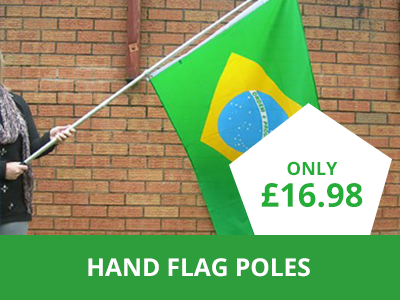 Each flag is in a rectangular shape to make the design instantly recognisable and it measures 6 x 9 inches. 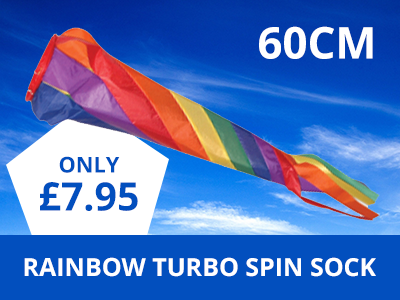 The bunting uses strong polyester tape for using indoors and outdoors in all weather conditions, as well as the flags being made from a durable polyester. So, what are you waiting for? Make your next gathering all about the UK with this fantastic British bunting! Of course, if you really want to make a statement and make sure your party is remembered, check out the Giant Union Jack Bunting! Just like the name suggests, this bunting is a lot bigger than normal bunting, which makes it stand out whatever the occasion may be. It measures an enormous 18.25 metres in length, with a total of 30 Union flags. Each rectangular flag measures 45cm x 30cm and this means that the colours are vivid and the design is instantly recognisable. What’s more, it is made from a durable and strong polyester so that you can use this bunting year after year. A popular choice of bunting that we have is the Union Jack Crest Bunting. This features the famous British flag design, with red, white and blue colours, as well as featuring the Royal Coat of Arms in the middle. 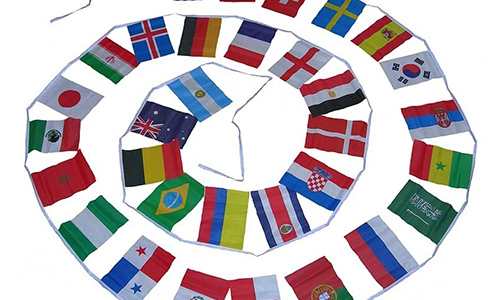 You can choose from a length of three metres or nine metres for your party or special event, which features either 10 or 30 flags. 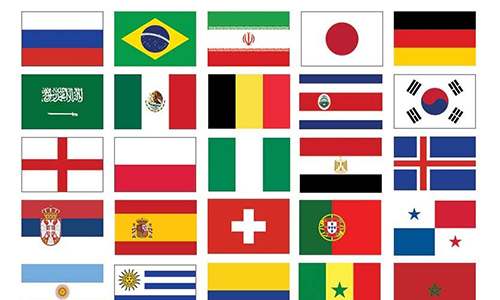 Each flag measures 6 x 9 inches, which is the perfect size and they are made from quality polyester for durability. Now you have bunting you can use all year round! Do you see any Union Jack bunting that you like? Get ready to join in the fun for any event with The Flag Shop, your number one supplier of quality flags for every occasion!